I must admit, as a kid, the province of Pangasinan meant nothing more than a pit stop on the way to Baguio City or the Ilocos region. It was only when I was working for the government in the late 1980s that I started discovering more interesting places to visit in Pangasinan, and I’m not just talking about the Hundred Islands there. Every city or municipality in Pangasinan has its own unique product or stunning spots that make the province an attractive end-destination for out-of-towners. It has white beaches and historical sites, as well as great eats like the longganisang Alaminos and Calasiao puto. Accommodations all over the province may lack a certain sophistication that urbanites are used to, but most are clean and simple, and reasonably priced. Drop by during its annual Bangus Festival (usually starting the third week of April until the first week of May) and enjoy the province’s famous Bonoan bangus and other seafood, while catching the streetdancing, trade fairs, beauty contests and beach parties. TO this day, there is much debate about where American Gen. Douglas MacArthur exactly set foot first along the Lingayen Gulf, as he and the Allied forces tried to reclaim the Philippines from the Japanese during World War II. Although San Fabian, Dagupan and Lingayen all claim to be the site of MacArthur landings, the largest marker in remembrance of the historic event is installed at the Bonoan Blue Beach in Dagupan. 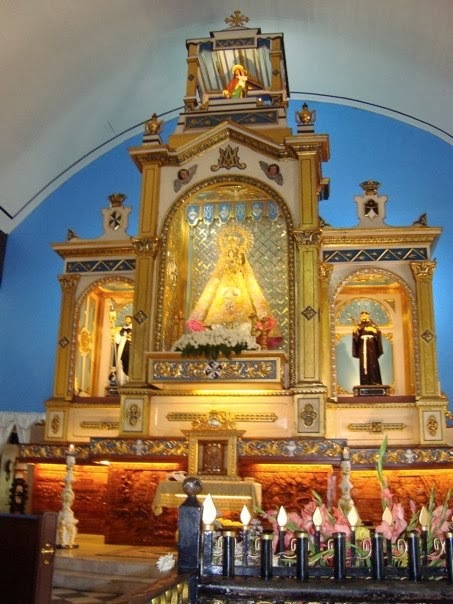 Heritage churches abound in Pangasinan with the most popular being the Shrine to Our Lady of Manaoag. This shrine attracts a lot of pilgrims because of reported miracles attributed to a 17th century ivory image of the Blessed Virgin Mary (patroness of the sick, the helpless and the needy). Here, devotees bring their new cars to be blessed, or climb the stairs to the alcove built at the back of the Lady where there is a separate kneeling room, and touch her bejeweled gown through a small rectangular peephole. Built in 1905, the Cape Bolinao Lighthouse (Abac, Patar) is the second tallest in the country standing at 351 feet above sea level. At the top of the lighthouse, one can have a panoramic view of the sea, rock formations and lush hills. For safety concerns, however, visitors are no longer allowed to climb the stairs to the top of the structure. 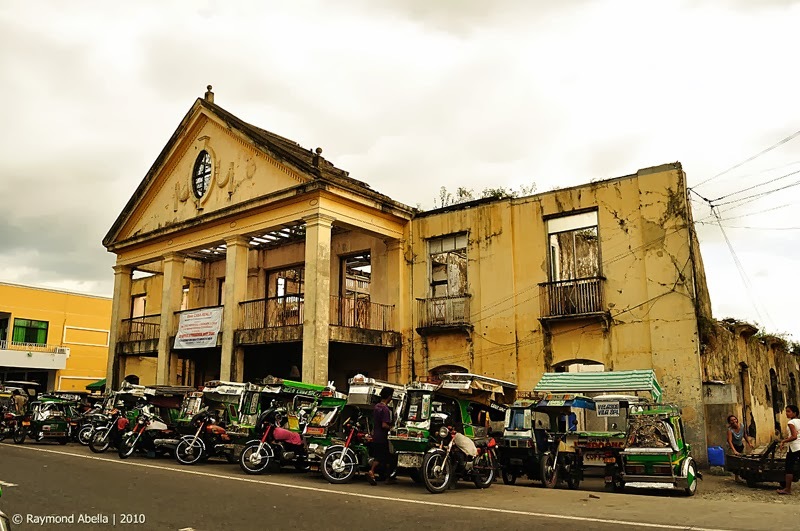 The Colegio del Santissimo Rosario (Lingayen) was constructed in 1890 as an exclusive school for girls with a dormitory and a nun’s convent. It now lies in ruins after the structure was bombed during the Lingayen Gulf landings in World War II. Boat trip. 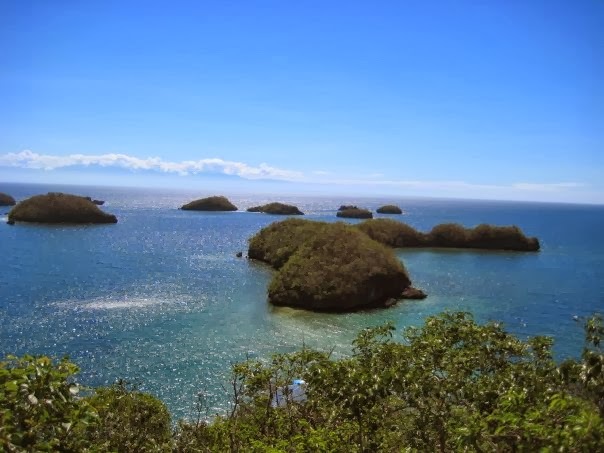 The Hundred Islands National Park (Alaminos) is composed of some 128 coral formations that jut out from the water as a result of sea level dropping over millions of years. Boats at the Don Gonzalo Montemayor Wharf (Barangay Lucap) will usually take you to three of the islands that have been developed for the public. Quezon Island has a white beach where one can go swimming, snorkeling (check out the giant clams or taklobo) or kayaking. The other two are Governor’s Island and Children’s Island. There are also spectacular caves among the islands as well as a bat sanctuary. Seafood and more. Visit the Magsaysay Fish Market in Dagupan and buy cheap seafood like the famous Bonoan bangus, squid, shrimps, crabs and other fish. Pangasinan is also famous for its Calasiao puto, sweet and earthy because of its fermented rice/glutinous rice mixture. Travelers can buy this anywhere in Calasiao. Another popular delicacy is the Alaminos longganisa, with its garlicky-salty taste; tupig, made from glutinous rice and coconut strips wrapped in banana leaves and roasted over charcoal; and Bolinao’s binungey, made from glutinous rice and coconut milk and roasted in a bamboo tube. Most of these are available in the town’s public markets or along the national highway. Check out local restaurants such as Silverio’s Seafood Restaurant (Arellano Street, Dagupan City) and Matutina’s Seafood Restaurant (National Highway, Urdaneta City) for their fresh seafood and grilled dishes. Star Plaza Hotel (http://www.starplazadagupan.com) is one of the better-rated hotels in Dagupan because of its central location, spacious rooms and reasonable prices. The royal suite with veranda can accommodate four persons. Puerto del Sol Resort (http://www.puertodelsol.com.ph) in Bolinao is a bit remote but gives travelers the privacy they covet. It sits on a white beach, and has generous suites, a swimming pool and massage area. The view of the sea from the restaurant is quite stunning. BY private vehicle, take the North Luzon Expressway, exit at the MacArthur Highway, turn into the Urdaneta junction on Dagupan Road. Signs are posted along the highway/road pointing to other municipalities in Pangasinan. Buses that go to Pangasinan are the Dagupan Bus Line (T# 929-6123, 727-2330), Victory Liner (T# 929-6123, 727-2330), Five Star Bus Line (T# 833-8339, 833-3009) and Philippine Rabbit (T# 734-9838, 734-9836). Take tricycles or jeepneys to move from one municipality to another. Locals are very helpful in making sure you get on the right transportation.